Learn more about revenue-generating e-commerce web strategies. With the growing popularity of e-commerce in today’s world, organizations must learn strategies to attract and retain online customers to their webpage. They must also tailor their websites to adapt to their customer’s needs. This course introduces the learner to various strategies used by firms and organizations to attract and retain customers to their e-commerce, the different types of attractors and attractiveness factors associated with attractors. This course will be of great interest to business professionals, as well as any learner wanting to expand their knowledge and understanding of effective web strategies with e-commerce. 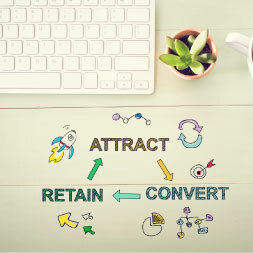 Having completed this course the learner will be able to: - Describe the reasons for attracting and retaining visitors; - Explain the term “attractor”; - Outline the different ways attractors can sustain attractiveness; - Describe the different factors of attractiveness. I enjoyed en learned fast.